Born in Korea, Hidition have been making high-end CIEMs for over a decade. They have recently updated their product line-up with the introduction of the NT-8, a successor to the well-received NT-6 (Pro), and hybrid Waltz. However, these models also serve as a reboot for the company, launching alongside universal offerings and new focus on the International market. 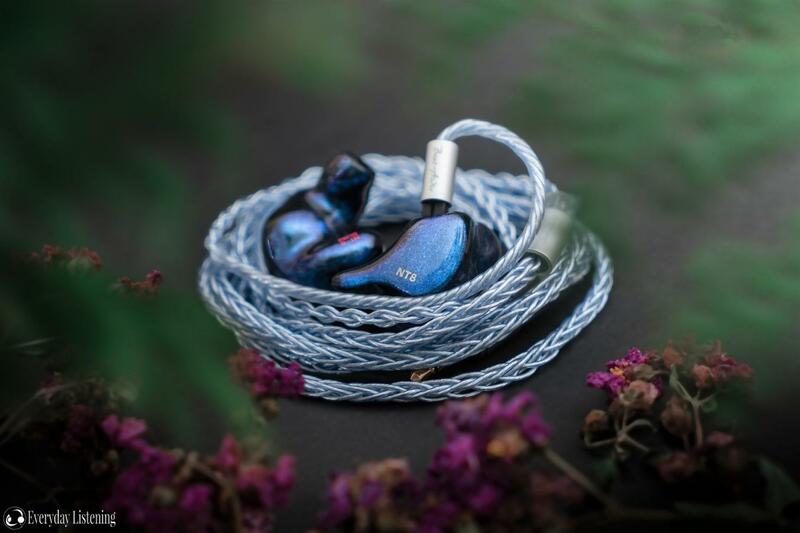 As its name suggests, the NT-8 is an 8-driver TOTL IEM featuring Hidition’s signature reference tuning. They were sure to state that this earphone has been designed with a no-gimmick, no-nonsense approach, a product of traditional tried and tested acoustic design. And in listening, the fruits of Hidition’s efforts could not be much sweeter! You can read more about the NT-8 and purchase one for yourself here. I would like to thank Hidition very much for their quick communication and for providing me with the NT-8 for the purpose of review. All words are my own and there is no monetary incentive for a positive review. Despite receiving the earphones free of cost, I will attempt to be as objective as possible in my evaluation. The NT-8 has a simple unboxing with focus on the earphones over lavish packaging or accessories. Sliding open the hard box reveals the earphones within a Westone vault style case with personalizsed faceplate. In addition, the staff at Hidition are extremely particular about fit. Audiologists that offer reasonably priced ear moulds are rather difficult to come by in Sydney and, therefore, many are not audio specific. Hidition requested 3 pairs of moulds after the initial sets didn’t meet their standards. They used all 3 to create a perfect model of my ear. The resulting fit is incredible, snug but without pressure and the housings simply disappear over time. Though time-consuming, I am overjoyed that Hidition prompted further moulds to achieve such a perfect fit. The NT-8 is a larger custom earphone that protrudes noticeably from the ear. This is to be expected given its higher driver count and wind noise is a non-issue due to their shaping and sealed design. The housings themselves are very smoothly sculpted with well-rounded edges and recessed sound tubes that ensure minimal irritation during wear. Hidition have been working hard on their build quality and the result shows in the product; delivering flawless finish that is even and delightful to look at. This is aided by a newly offered artwork service where users are able to request designs customized to their preference and colour, realised through their in-house experts. The NT-8’s fit is sublime and it offers the best passive noise isolation of all my custom earphones. During a recent overseas trip, the earphones blocked an exceptional amount of noise which aids the retention of bass and fine details in louder environments. This makes them an excellent choice for frequent commuters and those that frequent air travel. Hidition include a new cable, the KH3 that sports 6N OCC silver-plated copper conductors in a tight 8-wire braid. It’s a fairly thin cable with smooth insulation and a springy memory that resists tangles immensely well. As such, the cable is not the most supple or compliant, yet it also isn’t especially microphonic making it easy to live with nonetheless. The cable has well-shaped pre-formed ear guides that hug the back of the ear in addition to a slim y-split and a case-friendly straight 3.5mm plug. Of note, the cable is offered in 25 colour combinations to suite the earpieces themselves. Excellent one, I really liked it. Waiting for more like this. It’s still pretty decent. It’s colored in that it tends to be focused on female vocals quite a bit but it’s more or less neutral overall.